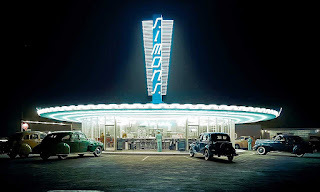 A nighttime photo of Simon's drive-in, Los Angeles, California, circa 1940, courtesy of Vintage Everyday. This is some serious style. Today's Sunrise Serenade was "Pray For The Lights To Go Out" by the Golden Gate Quartet. Enjoy the video from YouTube. The playlist for the March 29, 2017 broadcast of the Swing Shift Shuffle has now been added to the playlist filing cabinet. The Red Hot Lindy Hop lessons and sessions continue at the Rumba Room this Friday night. Free beginner lesson at 7:00 p.m. Free admission before 7:00 p.m. and $5 thereafter. Lesson by Bret and Ruth with music by DJ Ruth. This photo of Humphrey Bogart and Lauren Bacall, posted on Film Noir Photos, reminds me of one of my favorite Old Time Radio programs, Bold Venture. In that show, Bogey and Bacall played roles very similar to their film roles in To Have And Have Not. 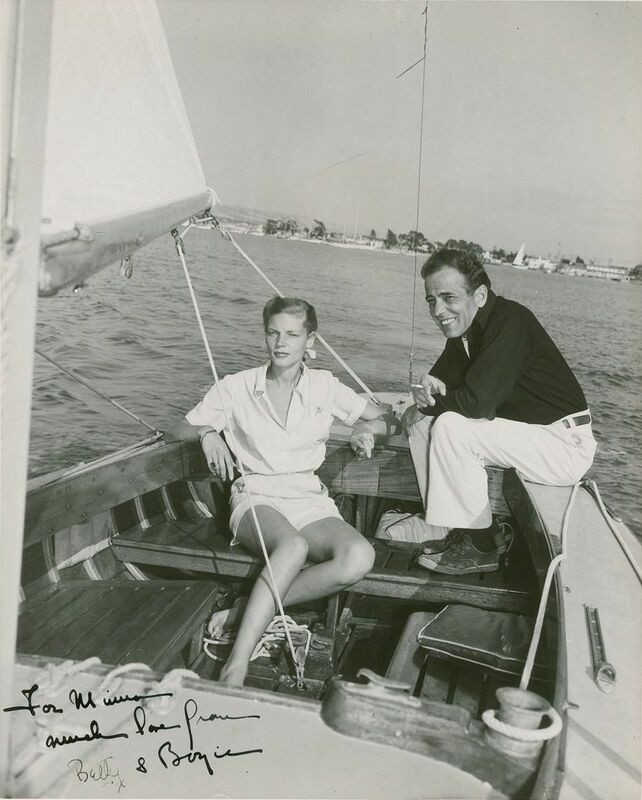 Bogey runs a hotel and charter boat service out of Havana, and Bacall is his girl. Today's Sunrise Serenade was "Apple Honey" by Woody Herman and His Orchestra. Enjoy the video from YouTube. The playlist for the March 22, 2017 broadcast of the Swing Shift Shuffle has now been added to the playlist filing cabinet. The Red Hot Lindy Hop lessons and sessions continue at the Rumba Room this Friday night. Free beginner lesson at 7:00 p.m. Free admission before 7:00 p.m. and $5 thereafter. Lesson by Jim and Josey with music by DJ Josey. This morning's Sunrise Serenade was "Your Father's Mustache" by Woody Herman and His Orchestra. Click on the song title to listen courtesy of Jazz On Line. This morning's Sunrise Serenade was "All My Life" by Fats Waller and His Rhythm. Click on the song title to listen courtesy of Jazz On Line. The playlist for the March 15, 2017 broadcast of the Swing Shift Shuffle has now been added to the playlist filing cabinet. Today's Sunrise Serenade was "Sleepy Time Gal" by T/Sgt. Jack Leonard and His V Disc Friends. Click on the song title to listen courtesy of Jazz On Line. This morning's Sunrise Serenade was "If You Build A Better Mousetrap" by Benny Goodman and His Orchestra with Art Lund and Peggy Lee on vocals. Enjoy the video from YouTube. This morning's Sunrise Serenade was "Since My Best Girl Turned Me Down" by Jimmie Lunceford. Enjoy the video from YouTube. The Red Hot Lindy Hop lessons and sessions continue at the Rumba Room this Friday night. Free beginner lesson at 7:00 p.m. Free admission before 7:00 p.m. and $5 thereafter. Lesson by Todd and Stacey with music by DJ Danny. Today's Sunrise Serenade was "Texas And Pacific" by Louis Jordan and His Tympany Five. Click on the song title to listen courtesy of Jazz On Line. This morning's Sunrise Serenade was "The Sheik Of Araby" by Hot Lips Page and the V-Disc All Stars. Enjoy the video from YouTube. Today's Sunrise Serenade was "Ain't Misbehavin'" by Fats Waller. Click on the song title to listen courtesy of Jazz On Line. 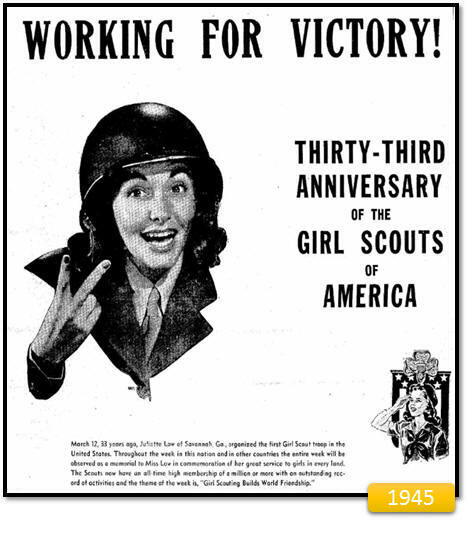 The National World War II Museum posted this item about how the Girl Scouts of America contributed to the war effort. It looks like food rationing put the bite on the famous GS cookies. This morning's Sunrise Serenade was "Dinah" by Sam Donahue and the U.S. Navy Band. Click on the song title to listen courtesy of Jazz On Line. The Man of Steel returns in this 1942 animated short. From the Internet Archive, here is Superman in The Magnetic Telescope. Today's Sunrise Serenade was "The Penguin" by Ambrose and His Orchestra. Click on the song title to listen courtesy of Jazz On Line. 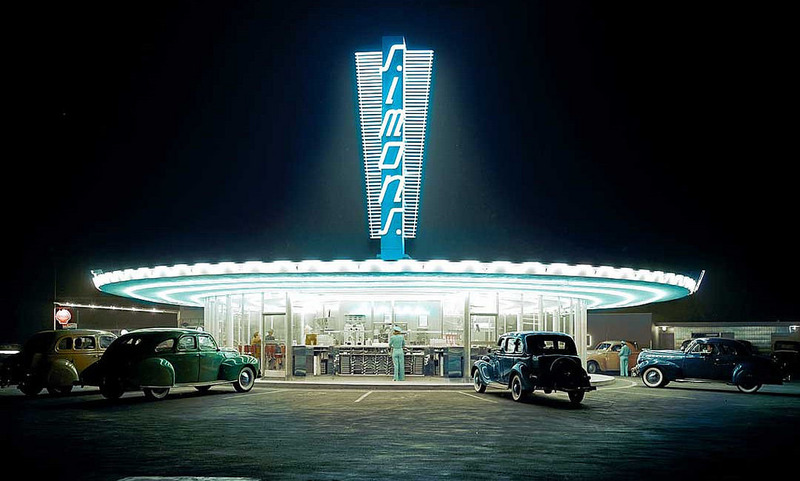 The playlist for the March 1, 2017 broadcast of the Swing Shift Shuffle has now been added to the playlist filing cabinet. The Hollywood Revue has issued its preview of March programming on Turner Classic Movies. Richard Burton is the Star of the Month, and TCM is starting a new film noir series, Noir Alley, on March 5th with a screening of The Maltese Falcon at 10:00 AM. Noir Alley air every Sunday morning at 10:00 AM.